This weekly meme was created by The Broke and the Bookish. Today’s theme is Top Ten 2016 Releases I Meant To Read But Didn’t Get To (But TOTALLY plan to). Oh, there are plenty of 2016 releases that I didn’t get to read yet. The list is very long, and in this post, I’ll try to create a short term TBR for myself of 2016 releases I want to read soon. This weekly meme was created by The Broke and the Bookish. Today’s theme is Ten Books I’ve Added To My To-Be-Read List Lately. I recently added a lot of own voices and diverse books to my TBR, they are all planned to be released in 2017. However, a lot of those books don’t have cover designs yet or blurbs, so I decided to skip them for now. I will add them to another list next year when I know more about them. Nevertheless, books I’m including in this list are either own voices and/or have diverse characters. I’m really excited for them, and I’m happy to share the list with you so we can all await their publications in 2017. This weekly meme was created by The Broke and the Bookish. Today’s theme is All About The Villains — I don’t think we’ve done a villains topic since back in November 2010 so let’s revisit: top ten favorite/most compelling villains in books, top ten of the most vile villains/bad guys in books, top ten villains I secretly (or not so secretly) love, favorite tv villains, favorite comic book villains, ten “villains” of contemporary lit. I decided to work on a list of greatest villains, characters I had strong emotional angry reactions to while reading books. And they aren’t many of those as I remember. My list presents the greatest villains from some of the amazing books I read. I had strong emotional angry reactions when reading about them and their actions. From my review: This may become my favourite villain. Aidan is an AI – Artifical Intelligence. I was not expecting AI to become a villain, and to be so humane, and inhumane at the same time. His voice in the audiobook was perfectly unemotional, and it was so irritating to listen to him, I wanted to punch him, to scream at him. Impressive character, and unique one. This weekly meme was created by The Broke and the Bookish. Today’s theme is Books On My Fall TBR List. I never create a TBR list of books that I’ll read next month or something. I just have this huge list of books I hope I’ll get to eventually. But this list represents books I just need to read. Right now I just feel that I desperately need them in my life. I will see how life will go on and how I will feel about what to read next in next weeks. There is no guarantee that I will read any of those books. This weekly meme was created by The Broke and the Bookish. Today’s theme is All About Audio freebie — aka top ten audiobooks you should listen to, 10 books I want to listen to on audio,10 bands you should check out, 10 podcasts you should be listening to, 10 of my all time favorite albums, 10 songs I love, really whatever you can come up with. I just recently listed to my first ever audiobook, and it was great! 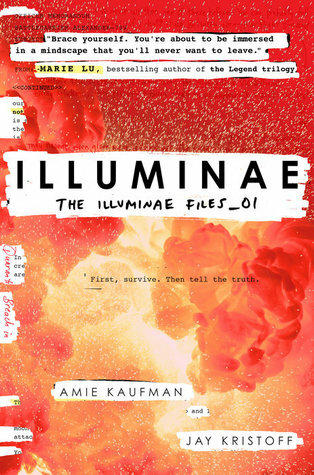 It was Illuminae, and it was a perfect choice for an audiobook. I loved it. For today’s theme, I present the audiobooks that I already listed to, and some that are on my wishlist. I had a look at my Goodreads shelf and it seems that a lot of my five-star reads are contemporary, so I decided to give this genre a better look and create my all time favourite contemporary books list.